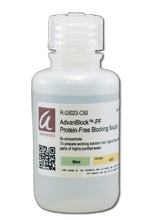 8 Tips for Detecting Phosphorylated Proteins by Western Blot - Advansta Inc.
Once you lyse cells, proteases and phosphatases go into action modifying proteins and chopping them up. Slow down their effects by keeping everything cool. Keep your samples on ice and pre-chill all buffers and tubes. If you are studying phosphorylation, make sure you include phosphatase inhibitors in your lysis buffer in addition to the protease inhibitors. You can use individual phosphatase inhibitors, or you can use a cocktail. Make sure you add them fresh, just before use! A great way to preserve your samples is to mix them with loading buffer as soon as possible. Loading buffer will destroy any phosphatase activity. So once you’ve quantitated your samples, mix them with loading buffer and load them on the gel, or aliquot them and store them in the freezer. Milk contains casein, an abundant phosphoprotein that can cause high background when milk is used to block the membrane. When doing your Western blot, you should use an alternative blocking agent, such as bovine serum albumin, or a protein-free blocking agent such as AdvanBlock-PF. Phosphorylation is a key response to cellular signaling and the phosphorylation status of a protein changes dynamically. You need to optimize your conditions to find when your protein is phosphorylated. For example, you may need to stimulate the cells prior to harvesting. Try different stimulation conditions and do time courses to find when the highest level of phosphorylation is achieved. What if you develop your blot and you have no signal? Is it because your protein isn’t phosphorylated or is it because you haven’t efficiently isolated your protein? One way to know the difference is to always include a control in which you probe for the total protein, regardless of phosphorylation state. 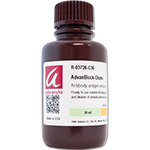 Many companies sell paired antibodies that recognize unmodified or phosphorylated forms of proteins, to help you out with this. A simple way to look at total protein versus phosphorylated protein is to look at both proteins on the same blot using fluorescent antibodies, otherwise known as multiplexing. Using the right combination of secondary antibodies, you can easily examine and quantitate the phosphorylation state of a protein. The phosphorylated form of your protein may only be a fraction of the total amount of protein. To detect it, you may have to load more protein than usual, or concentrate your samples. Alternatively, you could do an IP Western to capture your protein before blotting. Additionally, you can use an extremely sensitive substrate, such as WesternBright Sirius, for chemiluminescent detection. 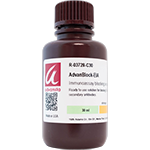 Do you have any tips for detecting phosphorylated proteins? Give us a hint by leaving a comment below! Suggests using phosphate-free buffers such as Tris-buffered saline (TBS) instead of phosphate-buffered saline (PBS) to minimize nonspecific reactions.